Sunday Selfies A Study in Why, Why Me? It’s Sunday and that means selfie day. 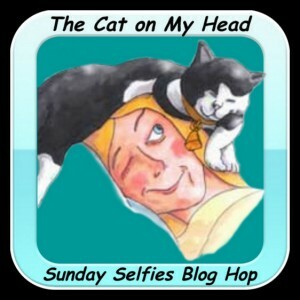 The Cat On My Head is hosting the blog hop for our unique selfies. Pop over and visit them or better yet join in on the fun. The picture here is an old picture, 2015, but it describes exactly what I was doing and my feelings about it. I love to see the water in with the ice move and I get so very excited which in turn brings my inquisitive claws out. In 2015 the water soaked mom as she was waking up. Once again mom was waking up and didn’t have a camera so we decided the old photo should explain matters. Sorry about the picture quality. 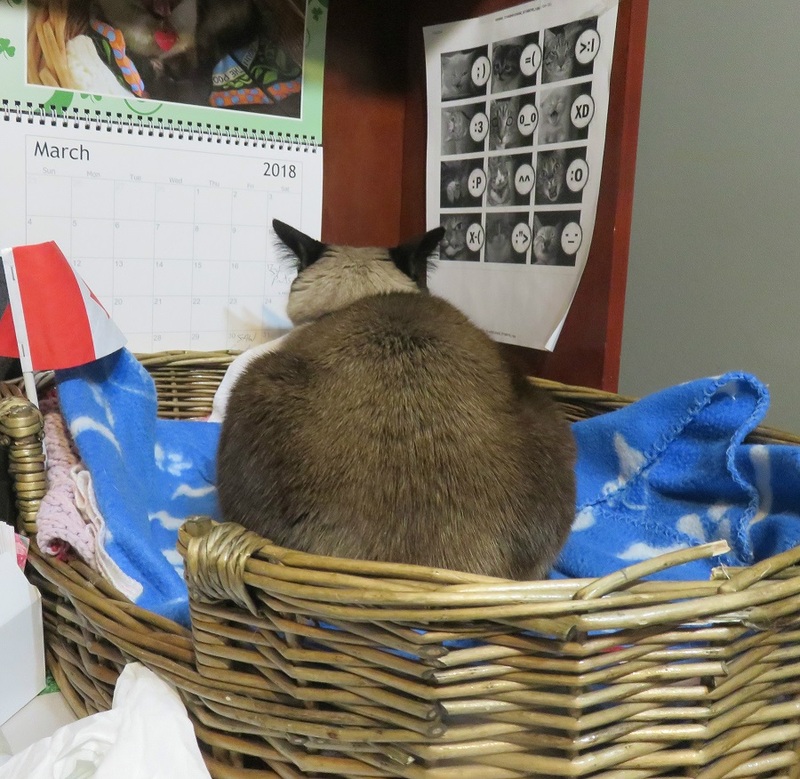 This entry was posted in Uncategorized and tagged camera, day, unique, upset on March 24, 2018 by The Canadian Cats. It’s a lot of fun watching the water bubbles move….can I catch one? Let’s see….oh right, this I can’t do cause it causes the plastic to puncture. Cwap! Egads. I must pop over and visit the castle. Sounds like the staff need a warning from the Princess. 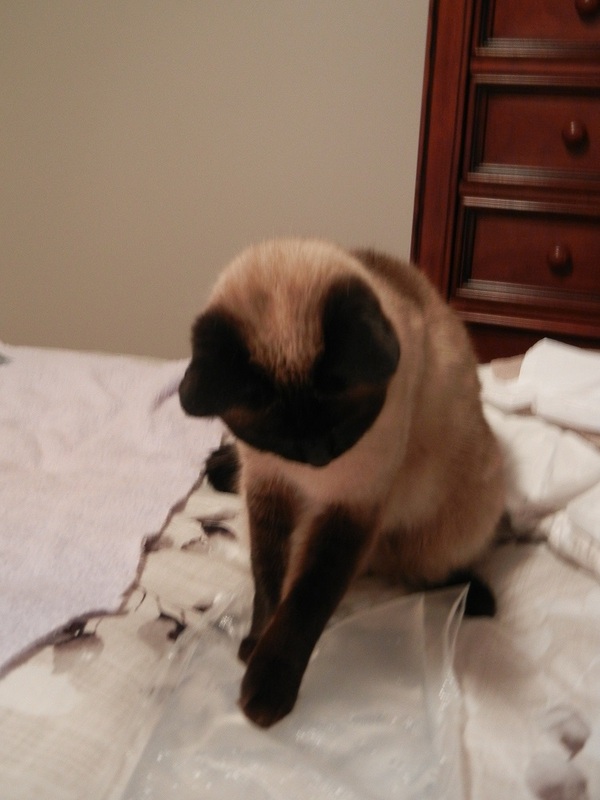 Yep, i DIDN’T WANT TO SEE MOM’S FACE AS SHE IS TOO PICKY….WHAT’S A LITTLE WATER? You think? I was ticked….mom is making a big deal out of a little water. Very cute and my favorite is the time out one. Yes, I didn’t listen to mom when she said, ‘leave it alone’ but geez, it’s only water. that “time out” photo is just hilarious!! MOL… It’s nice you are a full-service cat and give yourself timeouts so your mom doesn’t have to feel guilty about it. Well done! I don’t think mom would feel bad about it cause I can have fun no matter where I am. Lou, I have no idea what site to respond to. You are an excellent painter. That time out photo is great, we cats need sometimes that. You’re right Kosmo sometimes we need a ‘time out’ but sometimes mom does too. How well trained you are, Shoko, to know what is next is a time out, and just do it before being told. Amy, Lucy and Xena….this is because I’m a Cat Scout and know bad behaviour is not tolerated besides I’ve done it before and although it was terribly funny (mol) to watch mom jump around from the water, it is not a good thing to do. You’re a good Cat Scout to put yourself in Time Out!! Mew mew mew Shoko mee iss laffin so-o hard!!! That ‘time out’ iss heelareeus….an mee has knocked water on LadyMum befur an shee not find it funny either. Mumss sure can bee strickt Cuss-inn Shoko! Oh Dharth, mums have no sense of hehaw when it comes to getting wet. Geez! I think you’re right Samantha. It could be a Siamese thing. I do love water when it’s my idea to play in it. Not when it’s mom’s idea though. Yeah, humans don’t like getting wet, Shoko. We hope you didn’t time out for too long though. 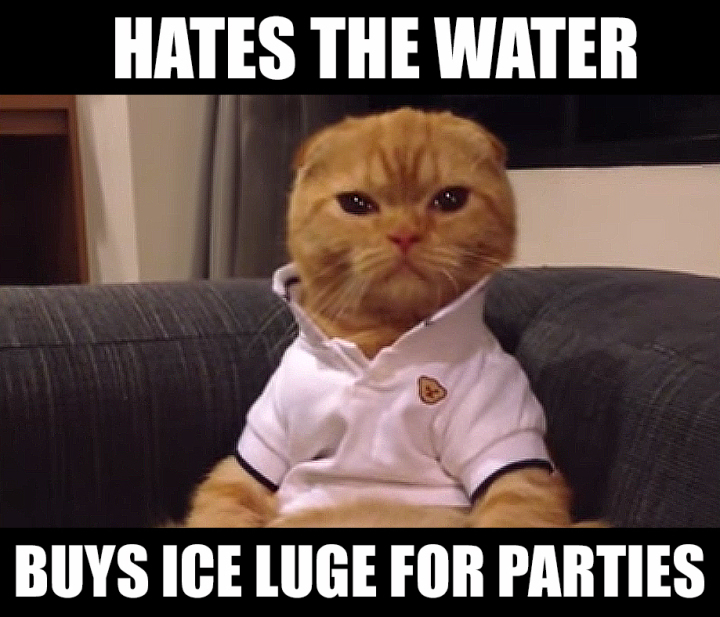 I hope you didn’t get your cute paws wet or cold from that ice cube. You are right to give yourself a time out. We need it on occasion, ’cause dealing with the pawparazzi can be exhausting at times, can’t it?! Valentine, how nice of you to think of my comfort. Mom never thought about it. It’s horrible how my comfort is overlooked here in Fort Meezer. I’m touched by your thought Valentine. Have a great day my Dutch friend. Hey have you tried wooden shoes on Binky? Were they comfy? I just must know. They don’t look comfy. Hmmm … that last shot looks more like “I’m mad at you for taking away my fun,” than a time-out. Were you mad at your Mom, Shoko?!? I certainly didn’t want to see her face at that point. I finally found something different to play with and its taken away and I’m given the evil eye by mom. I taught her how to give the evil eye and she uses on moi. Geez! Everyone needs a time out every once in a while, whether self imposed or not.